Because nothing feels better than real gold! I wear these rings one at a time or in 3's, 5's, 7's. This dainty 14k solid gold ring is hand crafted in my shop. Listing is for ONE RING. Made of 14k solid yellow, rose or white gold, you'll always look well dressed with one on your hand. Mix it with silver and beautiful stones (I love garnet or moonstone with it - seen in photo above) and it's a party on your hand! 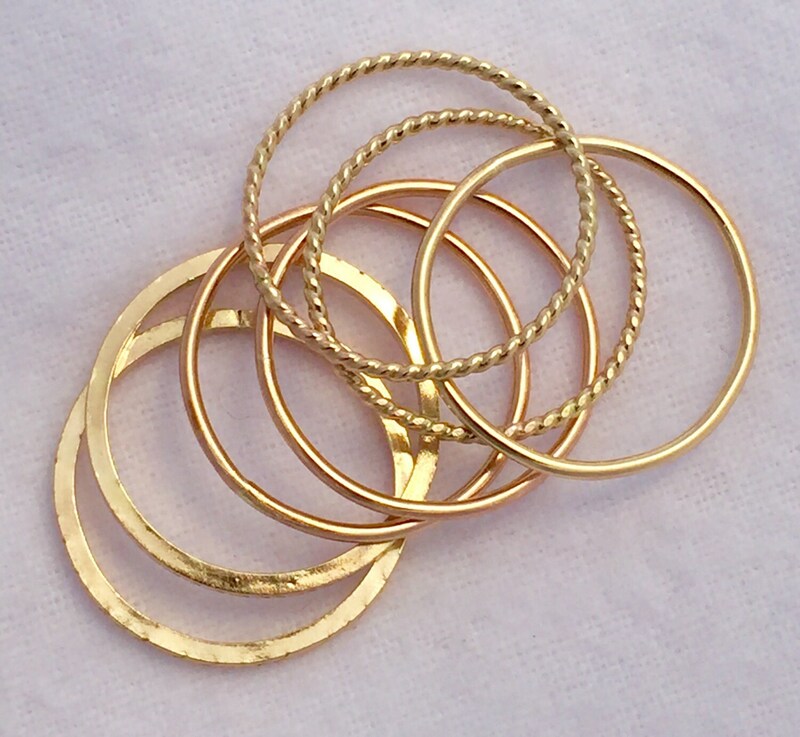 The width is 1.30mm, as the rings are made from 16 gauge solid gold wire. Dainty, pretty, barely there. Your choice of gold - yellow, white or rose. Comes in sizes 4 - 12 (if you need a larger size please convo me - i can make it, but the price will be a little bit higher since gold is expensive). Please allow 7 business days until I ship your item, but I always do my best to get it to you sooner.